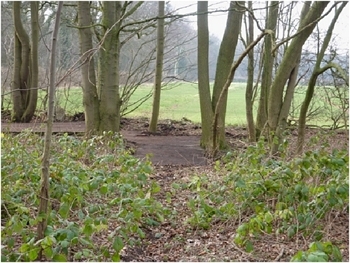 A childhood love of the woods around Barkston Heath has led to a WWll obsession for Mark Musson - and a lasting legacy for future generations. Mark and his father Terry are building a detailed online picture of American forces' involvement with RAF Barkston Heath (USAAF station 483) and their contribution to the major allied airborne assaults of 1944. It's a unique tribute, prompted by a compelling mix of aviation history, the tragedy of war and ultimately the victory of allied good over the Nazi evil, thanks in no small part to the aircraft and crews that flew from the quiet airfield that became a buzzing allied airborne hub with some 2,500 American personnel. Together the Mussons have probed the past with their dedicated web site forum - www. raf- barkston-heath-research-group .blogspot.com - established strong links with America and today even stage their own event road show with a growing collection of images and memorabilia. It was Terry's research into a particular military identity number that revealed the story of the legendary flying Dalmatian dog, Major Jerry. "I found there was no such American serviceman," he recalls. "With a bit more research we discovered he was actually a dog." The web site backdrop speaks for itself; an aerial image of heavy transport aircraft parked nose to tail, ready for action - and they believe their research is far from over. "We are still researching a lot", says Mark, who grew up around Barkston Heath. "I used to camp out there with the Air Training Corps and always wondered what the overgrown concrete bases were." 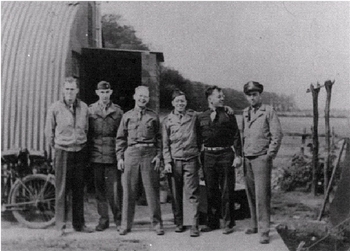 Now he knows, to the extent that he and his father have cleared one of the paths shown in an old picture, featuring a group of American servicemen including 2nd Lt. Seymour E. Teer Jr., the uncle of one of the Mussons new-found American allies, Randy Lewis. It was Randy who obtained rare microfilm vital to unlocking the past, film that would otherwise have cost a sizeable chunk of money. It's allowed the Mussons to see the layout of accommodation blocks and long gone infrastructure. It's also helping with another of their projects; re-drawing exactly what the airfield looked like during WWll when it covered a much larger area than now. 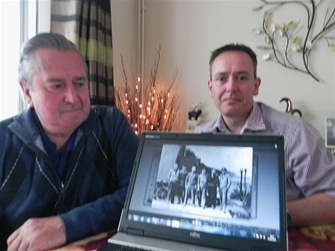 With 121 registered forum users, both men are expecting the 70th anniversary of D-Day and Arnhem to uncover more information to help them with their aims: research into the wartime history of RAF Barkston Heath and bringing together like-minded individuals and organisations that have an interest in, or association with this airfield. And they are aware that time is running out for WWll veterans. "This year will probably be the last time that some of them will come back. We think the interest will then come from their families, those people who have no idea what their relatives did and how much they achieved from an airfield thousands of miles from home. "Our group is a way of helping them find out." Join the forum by online registration. Caption: American troops at RAF Barkston Heath with second from left Seymour E. Teer 15th Troop carrier Squadron (Part of the 61st Troop Carrier Group). Photo permission Randy Lewis.